I've never been a fan of the setup of logging frameworks as far back as when I was a Java developer. The hassle and complexity of configuring and managing the logging framework was always a big hassle and would often create serious problems in the application if not done right. 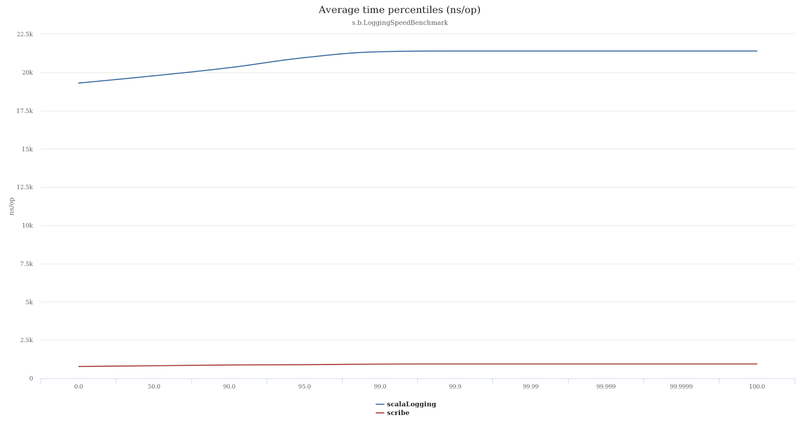 Even today in Scala it doesn't feel much better. 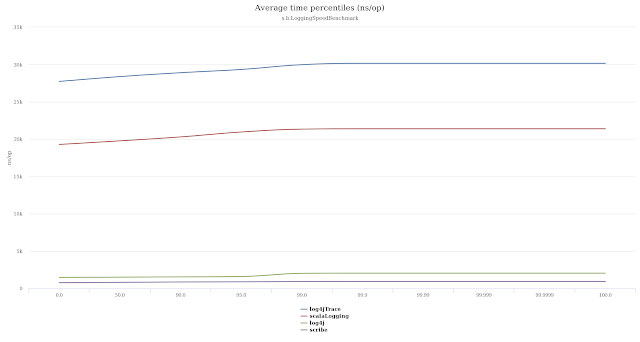 Certainly we have Macros that give some additional compile-time optimizations, but it's amazing how little has changed. A while back I created a Scala logging framework called Scribe. 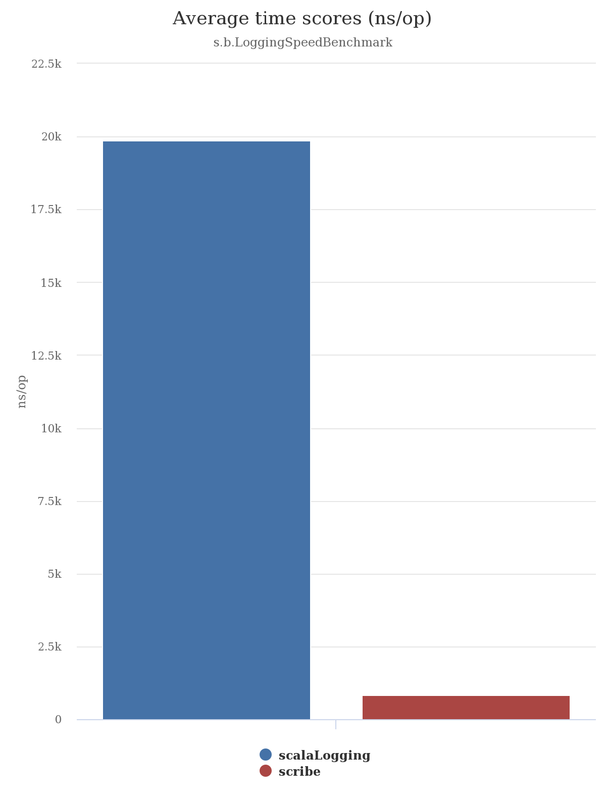 Honestly, the primary reason had more to do with giving greater flexibility to control configuration in code over performance or anything else. 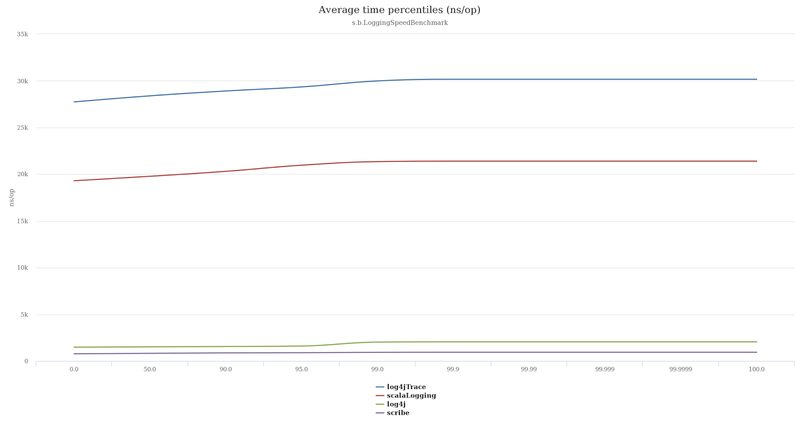 However, by not building on top of log4j, logback, slf4j, or JUL, I found that the system was not only far more simplistic and configurable, but it was also faster. 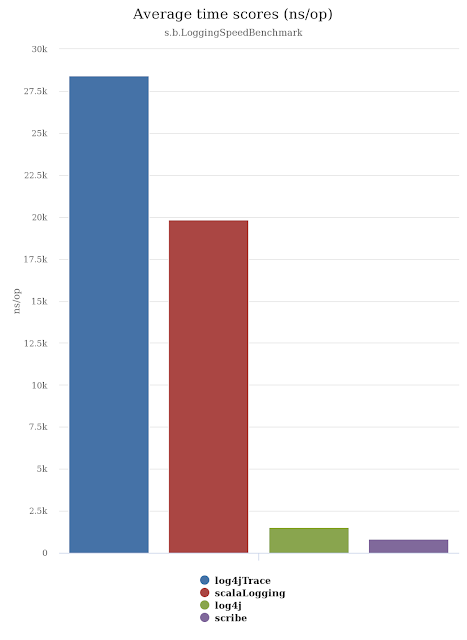 Over sixty seconds I recorded how many records could be logged. 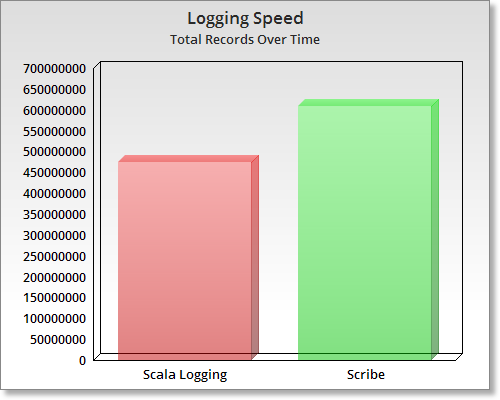 Scala Logging was able to log 474k records and Scribe was able to log 610k. Now, obviously this is far more logging than any reasonable application should be doing, but the point was to prove that not only can Scribe keep up with the most popular Scala logging framework (Scala Logging) on top of the most popular Java logging framework (Logback), but it quite a bit faster. 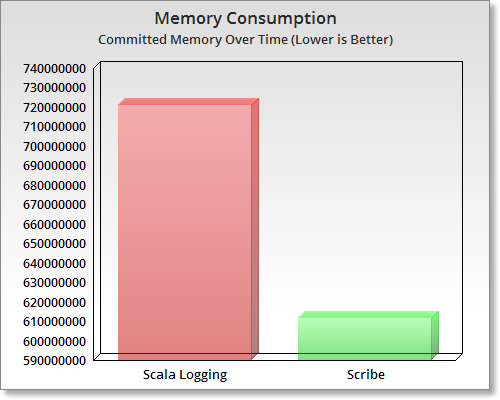 While Scala Logging utilized 704kb of memory Scribe utilized on 596kb. 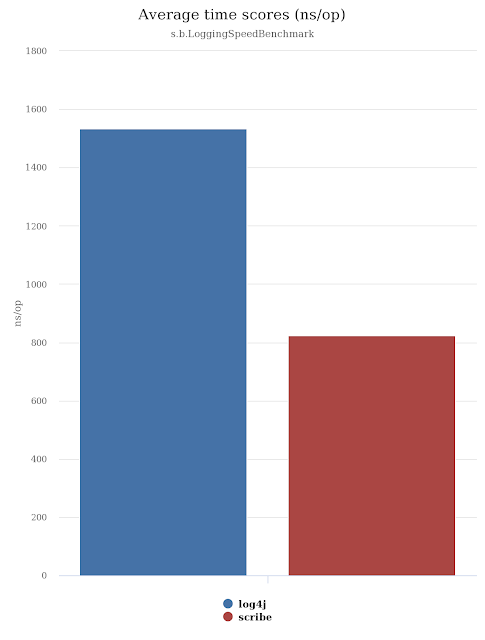 Again, not a substantial difference when we're discussing hundreds of thousands of records being logged, but this is meant to prove that Scribe is the better performer. 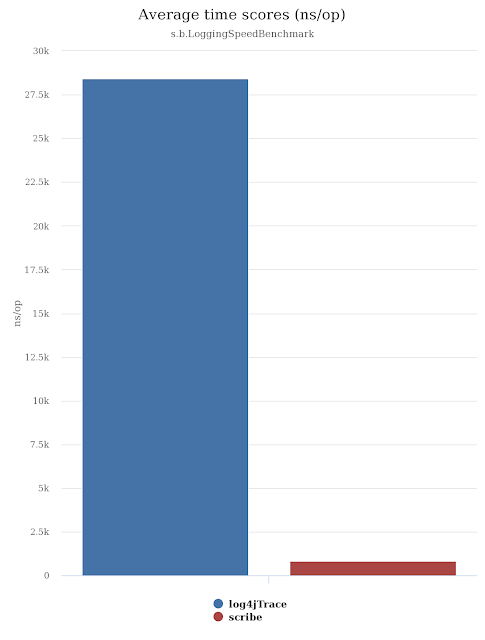 Very often I hear that a developer won't use a framework because there aren't enough developers using it. Obviously this creates a chicken / egg situation as you can't get developers using it because not enough developers use it. 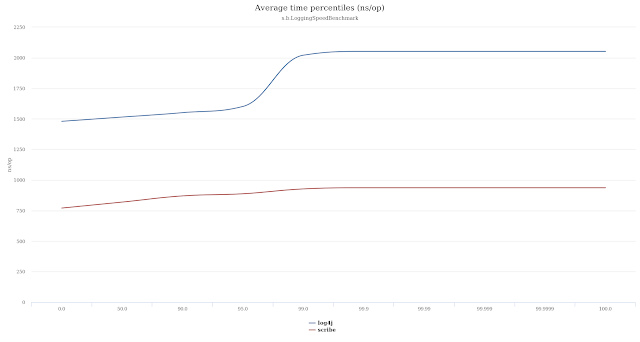 Hopefully this short post will give some additionally credibility to the value of Scribe that people will start comparing features and see just how much it has to offer. If there's something missing that your existing logging framework has, just create a ticket.